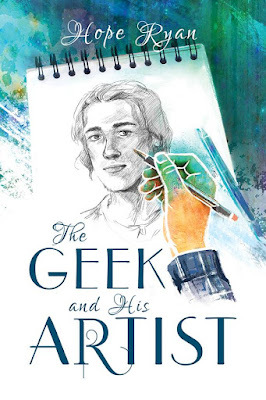 Cody Kennedy: Welcome Hope Ryan and her debut novel, The Geek and His Artist! 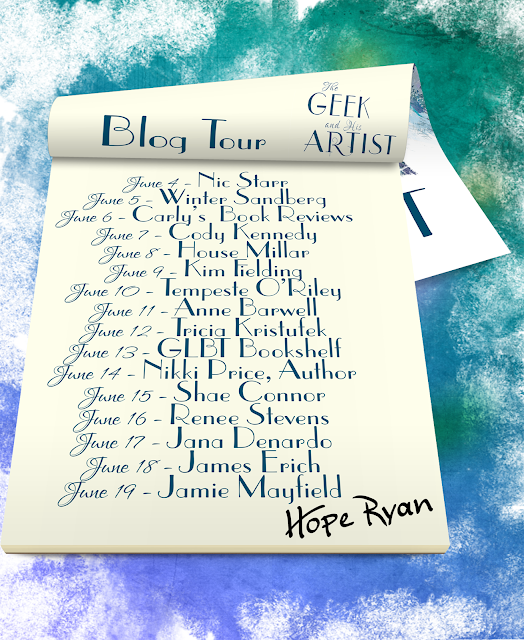 Welcome Hope Ryan and her debut novel, The Geek and His Artist! As many of you know, one of the subjects I write about is the tough subject of abuse. Hope takes on this subject with great care and offers young readers that frail, illusive thing called hope—often the only thing a survivor has to hold onto. It is my pleasure to welcome Hope Ryan to my blog and her debut novel, The Geek and His Artist! First and foremost, thank you so much to Cody for giving me space today! I really appreciate it! When I sat down to write The Geek and His Artist, I’d originally intended for it to be a short story. That doesn’t seem to work well for me—I am simply not someone who can write short stories. In this case, as I got into the story, I realized exactly why this was a good thing. Before I got very far, I realized one of the biggest conflicts in the story was Simon’s abusive home life. As I approached the word limit for the anthology I was writing for, I knew there was no way I could do Simon—and his abuse—justice in such a small number of words. I felt it was too important to portray something like that carefully, so I set Geek aside and wrote my other story, Blue Eyes. That turned out more serious than I’d intended, but it worked for the anthology and gave me the opportunity to give Simon the time and attention he deserved. Writing about abuse is a scary and big responsibility. I knew going into it that if I was going to tackle it, I had to be careful. I didn’t want to downplay anything. I wanted to give it the seriousness it deserved. 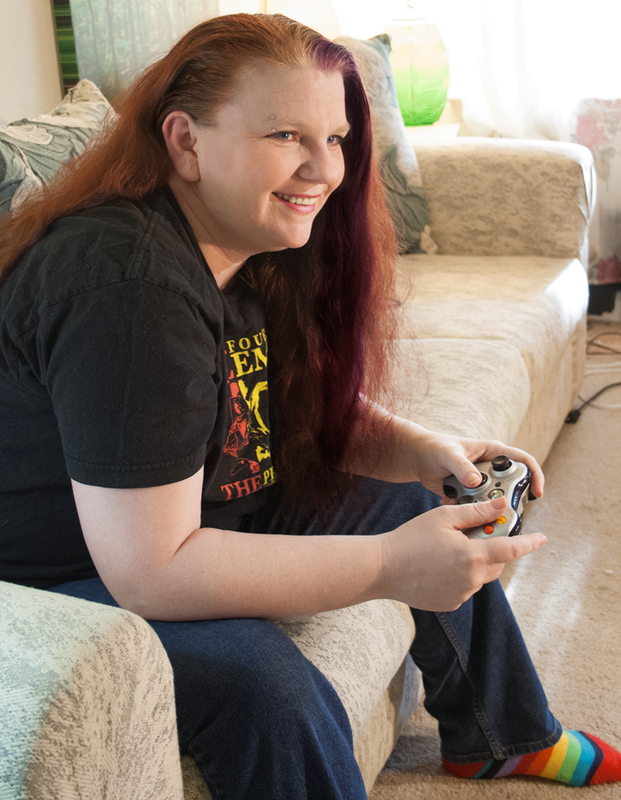 At the same time, though I wanted to show the horror that anyone living with abuse faces, I had to be just as careful to not overdo it. I have been extremely lucky in my life. I’ve never had to deal with abuse like Simon did. I’ve known more than a few folks, though, that have and I wanted others to know how terrible and hard and scary that can be, especially for a kid (even a teenager like Simon). It’s so easy to say “hey, just go, there’s other places to go,” to someone. But when you’re in the situation, been told layer upon layer of lies, it’s not so easy to do. Even when you have someone you love telling you to go. Even when you have the promise of so much better. Abusers are masters at making the victim feel like they deserve it. Or there’s no way to get away. Or there’s nothing better, that anywhere they go will be the same (or worse). Or that even if they do get away, they’ll be brought right back. And so much more. I hope I handled it well. It passed my betas and editors. I hope that someone will read it and take something from it, even if it’s the comfort of seeing a character going through what they are and making it out the other end. Thank you again to Cody for giving me blog space! I hope you’ve enjoyed this little peek inside why and how Geek came to be! Be sure to leave a comment for an entry into the grand prize drawing for the signed paperback and $25 at Harmony Ink! One commenter today will win your choice of a Geek character trading card! Simon Williams spends his lunch periods drawing his geek and trying not to think about the terrors waiting for him at home. He needs to get away from his abusive father before he suffers the same grisly fate as his mother. Because he's learned the hard way running away doesn’t work, he’s counting the days until his eighteenth birthday. Jimmy Bennet should be spending his lunch studying so his senior GPA is good enough to get him into college, but he can't seem to focus thanks to his distracting artist. When he’s given the opportunity to tutor Simon in Trig and discovers Simon’s home-life nightmare, he wants nothing more than to get Simon out of danger. This need becomes more urgent when Simon comes to school the Monday after their first date with bruises, but it takes a broken leg before Jimmy can convince his boyfriend the Bennets really want him. Enter the Tour-wide Giveaway here! Find Hope at her website, email her, or on Facebook. I enjoyed the excerpt and the book sounds really good. I hope Simon's life improves. I am halfway through the book and really enjoying it! Bought it now to read. Sounds really good. Good luck with the debut novel Hope. Thank you, Cody! And thnaks to ShirleyAnn, Michael and Denise! I do hope you enjoy the book! You're more than welcome, Hope! It's a pleasure to have you on my blog! I know this will be intense at times, but I do want to read this! It's a worthy read, Trix! I find this a tricky subject to read about, due to my own experiences, but I happy that more positive outlook books are now available for YA in this genre and that they can give hope and show anything is possible, even the simple thing of fulling in love and finding a safe place. Thank you, Sula. Book that provide hope to all youth are extremely important. May we see many more on the bookshelves!